Dr. Annabelle Joseph is a Professor in the School of Music at Carnegie Mellon University and Director of the Marta Sanchez Dalcroze Training Center. 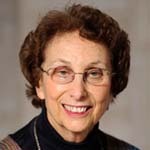 She teaches Dalcroze Eurhythmics at undergraduate and graduate levels and to senior citizens through the Osher Lifelong Learning Institute. She holds a BFA from Carnegie Mellon, MM from Duquesne University, DA from Carnegie Mellon, Dalcroze License from the Dalcroze School of Music, NY and Dalcroze Diplome from the Institut Jaques-Dalcroze Geneva, Switzerland. As a fellow in the Studio, she has been involved in educational research including Piano Tutor, an intelligent tutoring system for teaching beginning piano and Rhythm Project, an interdisciplinary course exploring the role of rhythm in the arts and beyond. She is a past president of the Dalcroze Society of America and consults and gives Dalcroze workshops throughout the United States and abroad.